Servicing the needs of the cycling community has always been our goal.  We appreciate the role that cycling clubs, retail stores and custom frame builders play in upholding the culture and diversity of the cycling community. A change of bike is the perfect time to ensure that your cycling position is suited to your needs. At Adaptive HP, we work with a number of prominent retailers, making sure their customers positional requirements are well known when investing in new equipment. These retail partners are renowned for meticulous mechanical work and attention to detail. Store staff are knowledgeable of the measurement data Adaptive HP provides as part of position optimisation services and are capable of interpreting this information to your needs. A custom fabricated frame offers the unique advantage of having both geometry and ride characteristics tailored to your needs. At Adaptive HP, we work with a number of renowned frame manufacturers, collectively planning how to best create a masterpiece unique to your cycling goals. Our lab-based 3D biomechanical analysis processes are used to establish your fit and bike measurement data. Your fit requirements are communicated with the frame builder to ensure the desirable outcomes are achieved, with frame geometry and component selection reflecting your needs.